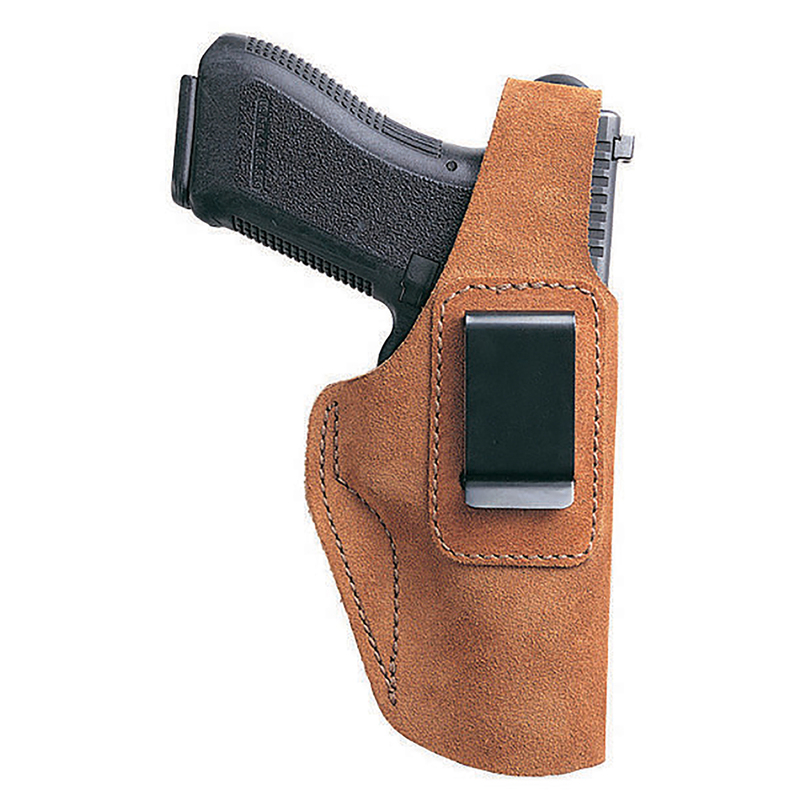 This holster offers comfort and concealability in an ultra-thin, lightweight design. Soft suede construction with an adjustable thumb break closure for multiple weapon fits for those who prefer more security. Spring steel clip keeps holster securely in place on the waist. Rust suede.